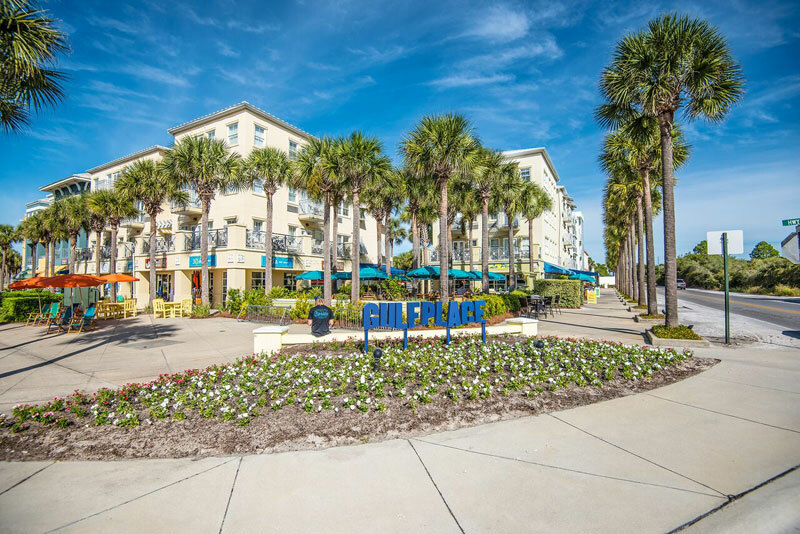 The beautiful beach community of Gulf Place on Scenic 30A rests between Dune Allen Beach and Blue Mountain Beach. With its convenient beach access, Ed Walline Park, Gulf Place is the perfect vacation destination for those seeking a variety of activities within steps of their front door; be it swimming in one of the two large community pools, taking part in a creative art workshop, playing tennis or simply heading out for a stroll on the beach, Gulf Place is the perfect place for your fun in the sun vacation. Gulf Place offers both casual and fine restaurants, open from breakfast time to dinner. For your shopping convenience, you’ll discover quaint and colorful boutiques, both funky and elegant. And be sure to visit the popular Artist at Gulf Place to find that very special and unique piece of local art. The Amphitheater at Gulf Place also serves as a venue for the annual 30A Songwriters Festival that takes place each January and brings in top musical artists from all over the country. It’s a good time in a great place at Gulf Place. Stay tuned for exciting new properties coming soon!